You may wish to include a job number if this is a fundamental element of your work process, or simply for reference's sake as is the case for many studios, but job numbers are by all means not essential in Streamtime. When creating a Job, the system will know which option has been preset in your account settings. It will then generate an automated job number based on the last overall job number. Note that you will not be able to modify this number unless you change the settings to "We use a mixture of numbers and job or client codes" . 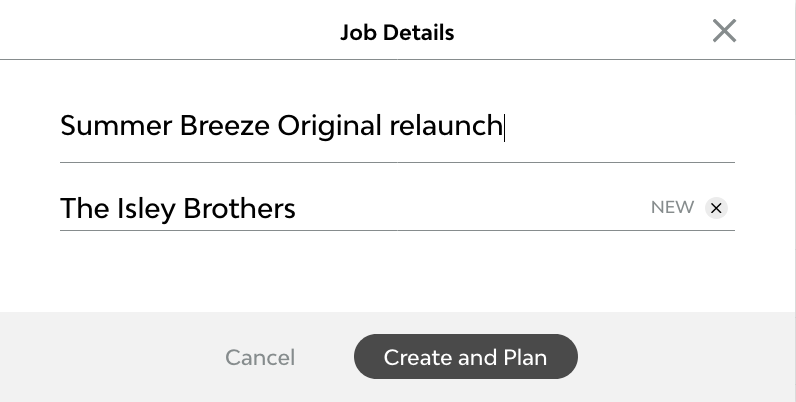 No problem, within the job you can see, edit, delete, or add the job number just above the job name. This will also display the last number or sequence used for that client and the last overall job number used in Streamtime.